We first want to send a big Thank You to the over 4,000 people who created a FLOR pattern and entered our FLOR design contest! There are so many awesome designs entries and today we are excited to choose the winner who will be sprucing up their home (or any area they choose) with a little FLOR color. Before announcing the big winners, we want to let you know that FLOR is offering all of you COLOURlovers a great offer if you want to make your FLOR design a reality in your home. Use coupon code COLOUR15p at FLOR.com or though the call center (866-281-3567) and receive FREE SHIPPING on your order. This coupon code expires on Friday, March 30, 2012 so hurry and place your order soon. *Free shipping is for domestic US only, excludes Alaska & Hawaii. Visit FLOR.com or a FLOR Store near you and turn your rug into a reality. FLOR has always been an innovator and a pioneer. We care about our planet and its future and seriously consider our eco-footprint in everything we do. That includes what happens when FLOR has lived its useful life. FLOR has developed what is revolutionary in the residential carpet industry - a Return & Recycle Program. Once your FLOR rug has lived a long and full life ship your rug back (FLOR foots the shipping bill) and FLOR recycles every piece of your rug so it can be reused to create a brand new FLOR rug. And now, for the winner of the FLOR Facebook contest. 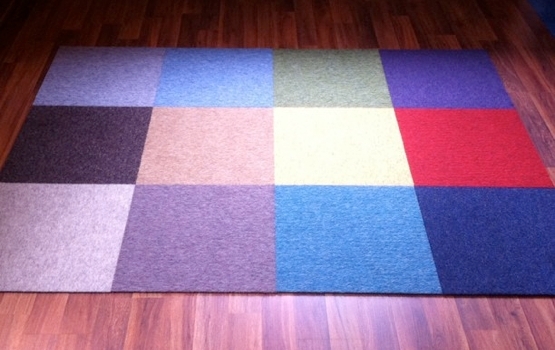 Congratulations to Silvia Carra who will be receiving a 6 tile FLOR rug! The winner of the FLOR design contest is the person who received the most "love" votes on their rug design. 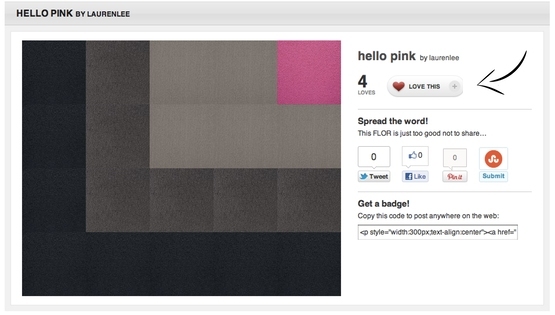 The $500 FLOR gift card goes to "Dream Weave" by Origamimei with 73 votes. The second place winner is for the design that received the second most "love" votes on their design entry. The $100 FLOR gift card goes to "Sun on the Sea" by Pennington with 69 votes. Thanks again to everyone who entered and everyone who voted. We hope you had some fun designing with FLOR these past 2 weeks. FLOR's vibrant color palette is woven throughout dozens of patterns and textures to provide you with a rich experience when designing your rug. As great as the online FLOR builder tool is, FLOR stores are opening across the country, allowing you to design your rug in person and experience the ultimate toe test. FLOR design consultants are available in store and you can bounce your ideas off of them during a consultation. New York, Chicago, LA, Atlanta, Dallas and Houston are already covered. And if you live in San Francisco, Boston or Georgetown, keep your eyes open because FLOR is coming your way. On Tuesday we announced a Facebook contest. We are extending the contest and upping the ante. FLOR is offering a 6 tile rug to the winner (who will be randomly chosen). 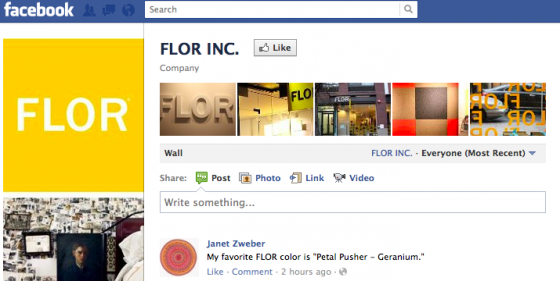 To enter, simply like FLOR on Facebook and answer this question on their wall, "My favorite FLOR color is "_____". 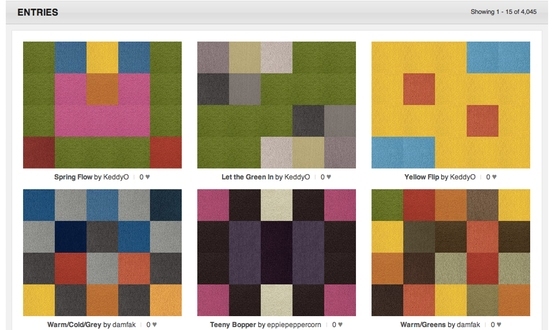 Entries for the FLOR Design Your Rug contest on COLOURlovers is officially closed. If you didn't get the chance to enter, don't worry, you can still help one fellow COLOURlover win this fabulous prize. If you did create a FLOR design, now is the time to promote it and get as many votes as you can! Head over to the entries page and vote for your favorites. To vote, hit the "love this" button on the entry page. Not only will you help one lucky COLOURlover win, you are sure to get inspired with all the different patterns and designs people came up with. The one with the most likes will receive the grand prize from FLOR which is a $500 gift card to purchase their very own rug. Thanks for those that have participated in the Scavenger Hunt thus far. 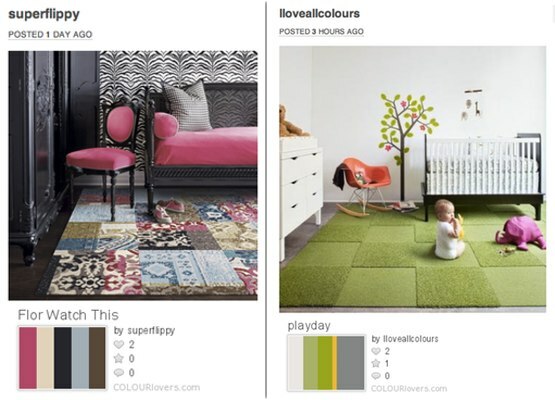 Here are some of the great palettes COLOURlovers created from FLOR designs. Read up on the guidelines and create your own palette with a FLOR rug as your inspiration. One lucky winner will be announced soon so make sure you vote for your favorite entries. In the meantime, check to see if there is a FLOR store near you so you can experience FLOR right in your hands. Its isn't very often that you see color like this in neighborhoods, but those that have the opportunity to create something like this are pretty darn lucky. 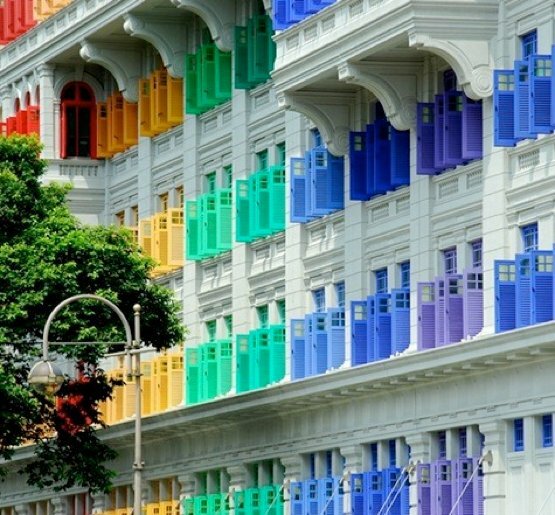 Sure, we can paint our doors fun colors, but often times people don't go far as to paint the exterior bold colors like as pink or red. 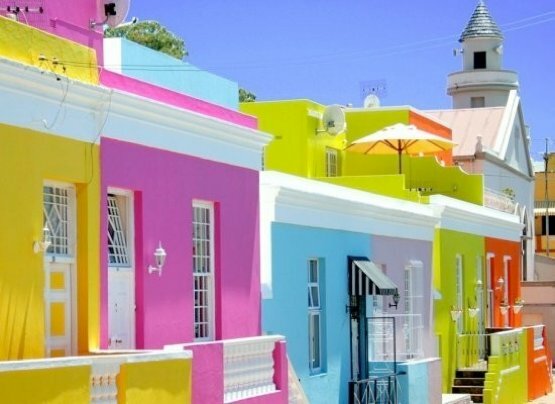 Aside from the fact that this is some inspiring curb appeal, these color palettes are also just as inspiring. I love this public staircase, if only more cities did things like this. There are a variety of ways you can paint front doors, but I'm partial to this bold mustard yellow color. What great branding this business has with such a great colorful exterior. 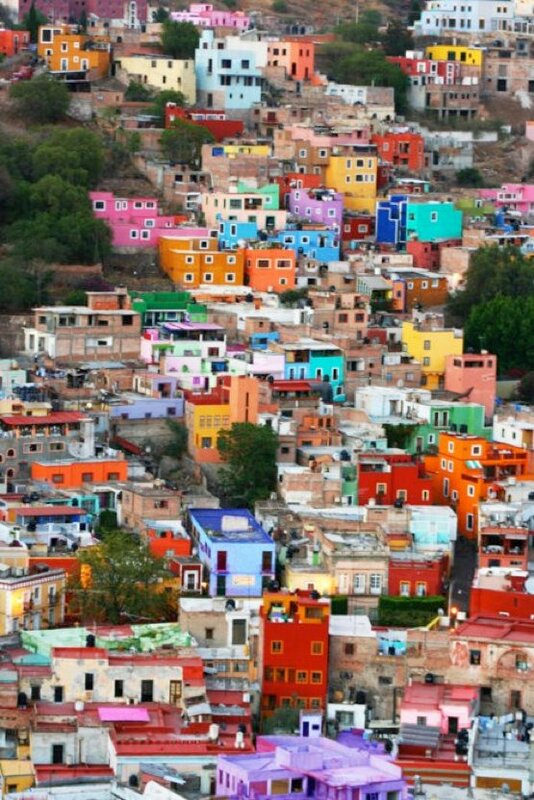 Shutters of every color? Now this is some fabulous curb appeal right here. How totally fabulous, right? A little curb appeal is always nice and definitely inspires both indoor and outdoor looks to any home. And when your home inspires, you can do a whole lot more. We are excited to team up with FLOR for such a fun & creative contest. "I've been a fan of FLOR for a long time now, and when I was remodeling my home office I figured it was about time to put some color under my feet. All day when I'm working, my chair sits on this color inspiration... Now I need to cover the rest of the floors in the house. 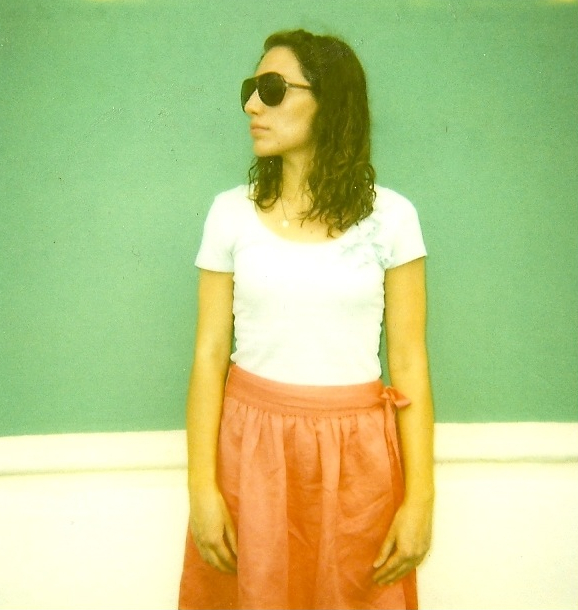 ~COLOURlover"
If you haven't heard of FLOR yet, it is about time you did. This unconventional carpet company gives you flexibility and creative freedom when it comes to designing the perfect rug for your home. Additionally, FLOR tiles allow you to customize the size of your rug so it fits in the space you need. As you can see through experiencing FLOR online, you will easily get lost in the patterns, colors and textures they provide. The design possibilities are endless for creative people like us. In their eyes, the world of design is inspiring and ever-changing but must be practical based on your needs. FLOR makes it possible for you to find that perfect solution for room in your home. Submissions will close on March 15, but voting will be open until March 20th (11:59pm PST) to get as much love as you can on your design. On March 20 we will announce the winner with the most love votes on their design. The winner will receive a $500 gift certificate to spend on any FLOR styles, including your own design. This will give you the chance to pick out your fully customizable rug, then set it up however and wherever you choose. So how do you win such an awesome prize like this? 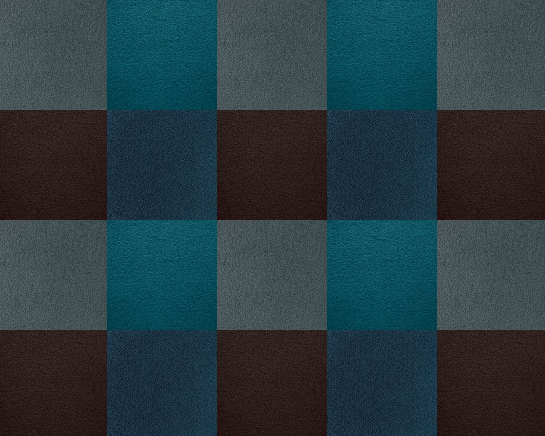 Head over to the COLOURlovers FLOR builder for a 4x5 blank template of squares. 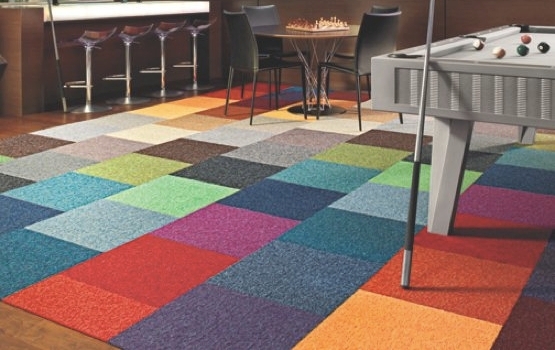 Using the FLOR tiles, create your best “wow!” rug with FLOR’s color palette. Once you feel you have fashioned something you love, submit the final creations to our gallery and spread the word about your awesome FLOR design... and remember, the one with the most "love" votes will be the winner of the $500 prize. Check out the entries page and make sure to "love" your favorites. As a side note, check back next Monday, March 12, for a FLOR Scavenger Hunt and small prize. You definitely don't want to miss a chance to get your hands on a few FLOR tiles, now do you? Want to know more about FLOR? Check out their About page and watch the video. We have seen geometric patterns inundate our homes, our decor and our style. It is not to say that Moroccan prints or chevron is out, but it is time to make a little space for a new pattern coming up on the horizon. Honeycomb. And if you are still skeptical of letting another pattern into your life, here are some awesome ways to add subtle touches. 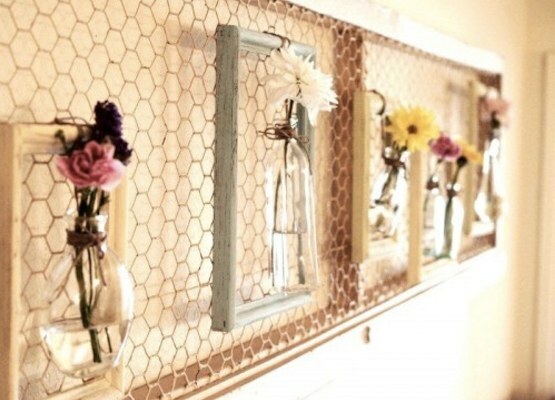 Chicken wire is made in a honeycomb shape, which happens to be both stylish and practical. (Who would even thought the day would come where we would be saying chicken wire is stylish?) In the above DIY, you can make any frame a place for hanging vases and fresh flowers belong. Melanie created You Are My Fave as her creative outlet just 4 years ago. You Are My Fave combines the love she has for decor, crafting and weddings to create some fabulous inspiration for all. The pages of her blog keep you going because you just can't wait to see what else is in store (it also wears out that "Pin It" button with all those awesome photos). Catch up with her on Twitter @youaremyfave. Let's find out what inspires her, what keeps her going and what got her to this point. First up, why don't you tell the community a bit about who you are, what you do, how long you have been doing it, and your background. My name is Melanie. I've been blogging daily at You Are My Fave for the last four years but I do a handful of other things too like throw parties and assist Design Mom. I'm also a pro at watching an entire TV series over the course of one weekend. I graduated from college in the slacker major of Communications with an emphasis in advertising. 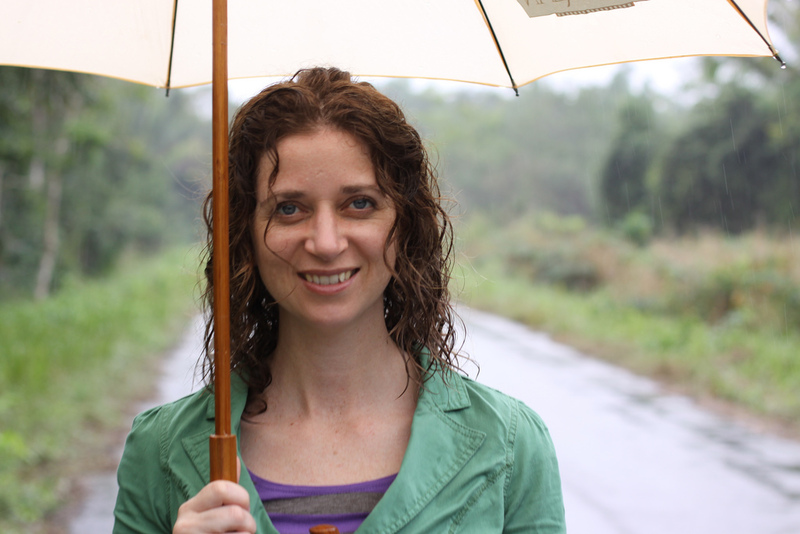 After a series of unfortunate jobs, I started my blog and haven't looked back since. Of course the things I learned in my major have helped me with all this social media biz. First, I think my parent's emphasis on work ethic has helped me tremendously. I had a paper route when I was only eight. Anyone who works for themselves knows it's not easy and if you don't work hard, you won't get anywhere. Michelle Jennings Wiebe is the owner and principle designer at Studio M, an interior design firm. Follow her design musings on her firm’s interior design blog. And if you need a little inspiration or need some design advice, follow the studio on Twitter or Facebook. Now let's go ahead and check in with her on her favorite colors to decorate with and where she thinks home decor style is headed in 2012. I am Michelle Jennings Wiebe, the President/Principal Designer of Studio M Inc., a national interior design firm based in Tampa, FL. I began the firm 20 years ago, pretty much right out of college. I have always wanted to be an interior designer; even since I was a young girl, drawing floor plans and decorating glorious Barbie houses. 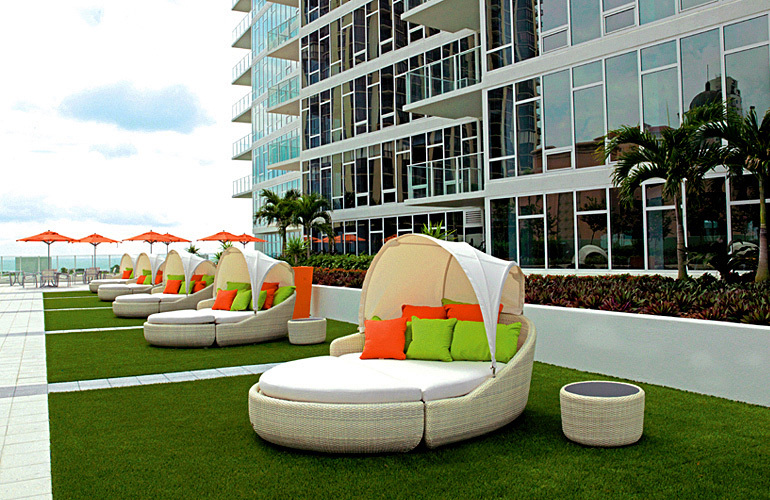 I went on to graduate from Florida State University, with my degree in Interior Design. (Go Seminoles!) I am also a chocolate connoisseur, a travel buff, and love a great pair of shoes! The designs of Simon Page take us back to basics, to the literal building blocks of good design: geometric shapes. 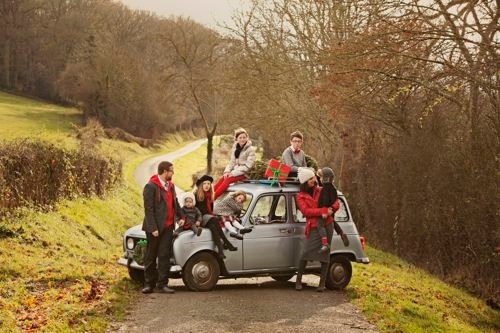 Page, a London-based graphic designer, is all about creating a visual experience that stimulates the emotions. His philosophy is “Good Design Excites.” And you’ll be surprised how exciting circles and squares can get after Page is done with them! 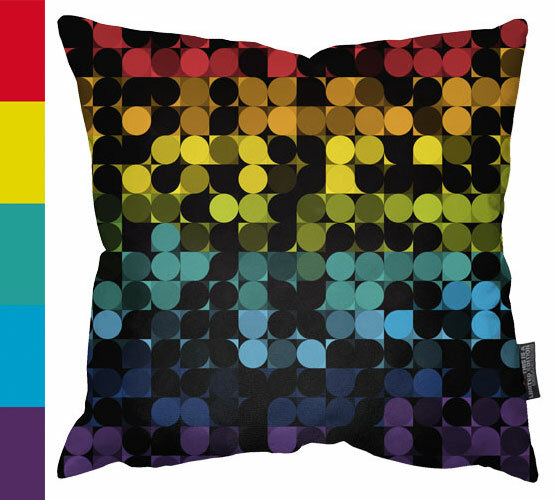 At first glance, the design covering this pillow seemed to have sequins on it, but on second glance, this is illusion created by bold color choices and the juxtapositions. The same type of visual tricks follow in his other four pillow designs, which would make a striking focal point in any living room. We are touching base with one very busy girl today! Not only has she built up a successful blog, a new company and one of the coolest new design conferences out there, she has done so while having a family of 6 kids! Truly an inspiration. One of her newest endeavors, Altitude Summit, has become of those must-attend conferences for bloggers, designers and artists of all sorts. If you haven't heard of Altitude Design Summit yet, you will soon. The panel of speakers are of the top talent out there, including the co-founder of Pinterest, Ben Silbermann, Editor-In-Chief of Martha Stewart Living, Pilar Guzmán, and a lifestyle and art editor at Chronicle Books, Kate Woodrow. Let's get to chatting with Gabrielle Blair and see if we can find out how she balances everything, how she gains inspiration and more. Q: First up, why don't you tell the community a bit about who you are, what you do, how long you have been doing it, and your background. A: I’m a former art director kept inspired by a blog called Design Mom, an ever-evolving site named Kirtsy, and a founder of Altitude Design Summit, which has turned into the annual place-to-be for some of the most talented bloggers, designers, and artists I’ve ever met. In my spare time, I’m a wife to Ben Blair and mom to six of my favorite children in the world -- Ralph, Maude, Olive, Oscar, Betty & June! Wallpaper of today is definitely not what it used to be with the installation process and the choice of patterns or images available. Ghastly florals and patterns of the past are replaced by reinvented, contemporary florals, patterns and palettes of the present. 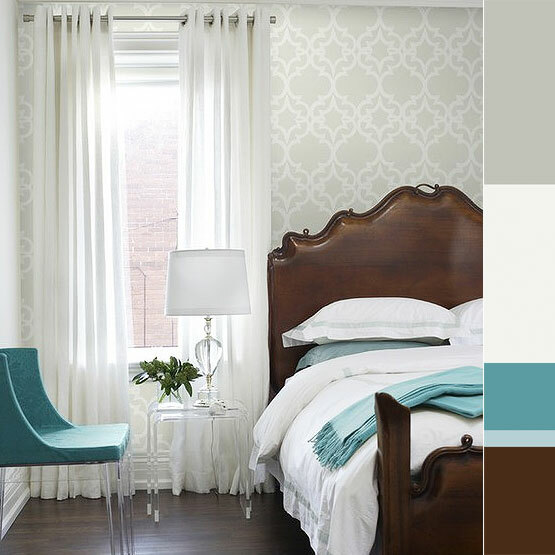 This article is presented by InkShuffle.com offering you beautiful Easy Off Wallpaper – perfect for renters. Millions of designs in categories like vintage, cityscapes, and room openers. We recently published a post about wall stenciling, also a booming trend and a more budget-worthy route than wallpapering, but could also be more work, depending on what you chose to paint. Wallpapering can also almost ensure a very clean, accurate and even more elaborate finished wall as well. At the end of the day, both have their pros and cons like anything else, it's just a matter of budget and preference. 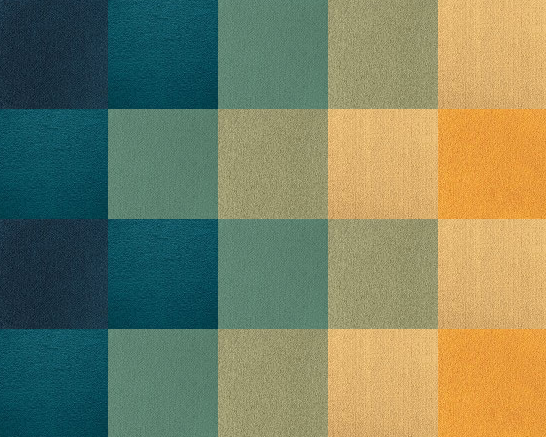 I'm falling fast in love with Kreme wallpaper patterns. Very Moroccan-inspired design work with fabulous palettes. 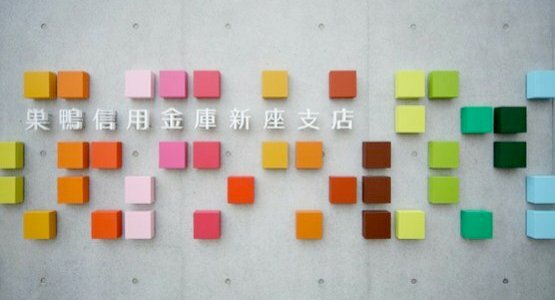 The example above is one of their more minimalist designs called, Painted Gate. 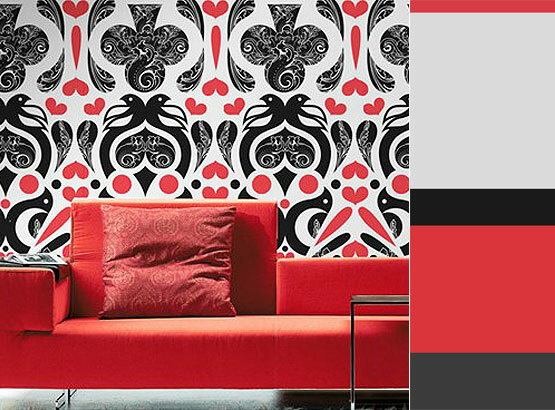 Contemporary wallpapers are sometimes so graphically reinforced with such dramatic design work. This type of pattern design is so intricate that paint just couldn't replicate (or could, but with a lot of effort).